Looking for a great opportunity to lease a new Toyota in LA? 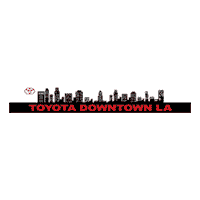 You needn’t look any further than Toyota of Downtown LA! Below, you’ll find our current Toyota lease offers and incentives available for Mission Hills- and Cerritos-area car shoppers. Whether you’re shopping for the Toyota Camry, Toyota RAV4, or Toyota Prius, chances are you’ll find a worthwhile lease special, finance offer, or cash-back opportunity you won’t want to miss. Make sure you arrive to your next dinner outing in style by taking advantage of our lease specials and finance offers today. Why Take Advantage of Our Toyota Lease Offers and Finance Specials in LA? There are plenty of reasons why Mission Hills-area drivers rely on our dealership for their next Toyota Prius lease special or Highlander cash-back incentive. For one, we’re a Lithia-affiliated dealership, with storefronts across the country. This means that we offer plenty of vehicles from which to choose. In addition, we stay up-to-date on advances in the automotive industry. These are just a couple of reasons! So, if you have questions about what to expect when you lease a Toyota in LA, or how to get pre-approved for financing, our team is standing by every day of the week to assist you. Want to schedule a test drive near West Hollywood with one of the vehicles shown above? Contact us today, and we’ll get you started in test driving a Toyota around LA!